To the uninitiated, forgery in Chicago seems like a straightforward case. However, a closer examination of the law indicates that it is every bit as complicated as any constitutional issue that you can imagine. The fact that this law affects a large number of ordinary folks means that it is an important area for a defense attorney to be aware of. Certainly a lot of expertise and experience is required in order to successfully defend such cases. The consequences of failing to mount a successful defense can be serious, leading to between two and five years in custody (see Thomas M. Bartholomew for sentencing guidelines). On the other hand, a conviction is effectively an indicator of fraud and that could ruin career prospects in much more serious ways than even a murder conviction. Normally forgery cases in Chicago will require a thorough investigation because the expectation from the police is that the typical defendant in these cases is highly sophisticated. To be fair, some forgeries are straightforward cases of misguided ambition. Examples include an altered bus pass or rail ticket. By contrast, there are some forgeries that have multiple layers, involving serious corporate fraud and other related consequences. The court will consider the chain of events from the first forgery to the eventual consequences on the victims when dealing with each case, particularly with regards to sentencing. Hiring a good defense attorney is essential, particularly when complex technicalities are highlighted and contested. This category of case is one where aggression is not necessarily a bad thing. The prosecution tends to take a loss-leader attitude to certain circumstances. If the defense attorney is determined to bog the opposition down with a lot of repetitive fact-finding missions, the DA may come to the conclusion that the cost of such a prosecution far outweighs the public interest. In that case, a plea bargain may be on the table. Even then, the defense attorney has to be intimately involved in all negotiations in order to secure the least risky position for his or her client. Forgery is a consequence of 720 ILCS 5/17-3, although there are many precedents that might be brought to the attention of the court in order to dispose of the case. Apart from the prerequisite thought and deed, the law specifies certain actions or inactions that might constitute the offense. These include making a false document or altering one with the intention of making it false. Likewise, the court might consider that the threshold for the crime is met when a document is apparently capable of defrauding any other party. The issuer of such a document is liable if he or she has knowledge that it is false or altered. The same rules apply to possession of such a document. In the digital age, the courts have found that electronic signatures can be forged. The definition of a forged document was expanded to include those instruments that are false even if they bear the signature of the creator (see Kathleen Neely Lawson). Hence writing an ID for yourself is an offense, for example. It is important to note that there are some forgeries that veer into serious federal crime. 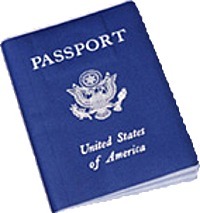 For example, the possession or issuance of a forged passport may incorporate immigration offenses at the federal level even as the lower courts consider the lesser charges of mere forgery. Typically these offenses are Class 3 felonies with the exception of the Universal Price Code Label, in which forgery is a Class 4 Felony. When the forgery involves a coin or academic qualification then it is considered to be a Class A misdemeanor. If you need an experienced and professional attorney to help you win your case, contact David Freidberg Attorney at Law today at 312-560-7100.